In Story of a Soul St Thérèse of the Child Jesus and the Holy Face wrote ‘I wondered what name I would be given in Carmel…. I thought of Little Jesus whom I loved so much and I said: Oh! How happy I would be if they called me Thérèse of the Child Jesus’ and ‘Until my coming to Carmel, I had never fathomed the depths of the treasures hidden in the Holy Face’. For me prayer is an aspiration of the heart, it is a simple glance directed to heaven, it is a cry of gratitude and love in the midst of trial, as well as joy; finally, it is something great, supernatural which expands my soul and unites me to Jesus. 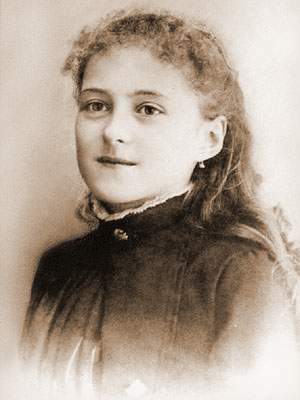 St Thérèse in Story of a Soul. The Canonisation of Blessed Louis Martin and Marie-Azélie Guerin, spouses took place on the 18th of October 2015. The Canonisation took place during the Mass celebrated on the 29th Sunday in Ordinary Time by His Holiness Pope Francis in St Peter's Square, Rome.